Atlanta native Spalding Nix has a long history in the Atlanta art world - interning at the Heath Gallery, working at Jackson Fine Art, and opening his eponymous gallery in 2003. At the University of Virginia, Spalding majored in both Art History and Studio Art. After working at Jackson Fine Art, Spalding attended the University of Georgia’s School of Law specializing in Intellectual Property and International Law. During his undergraduate and law school summers, Spalding worked at The National Gallery of Art on their Design and Development team and in the General Counsel’s Office of The Smithsonian in Washington, D.C. After passing the Georgia Bar, Spalding worked for Sotheby’s in their Client Development group working closely with Sotheby’s Appraisal and Valuations Department. In the fall of 2003, Spalding opened Spalding Nix Fine Art. 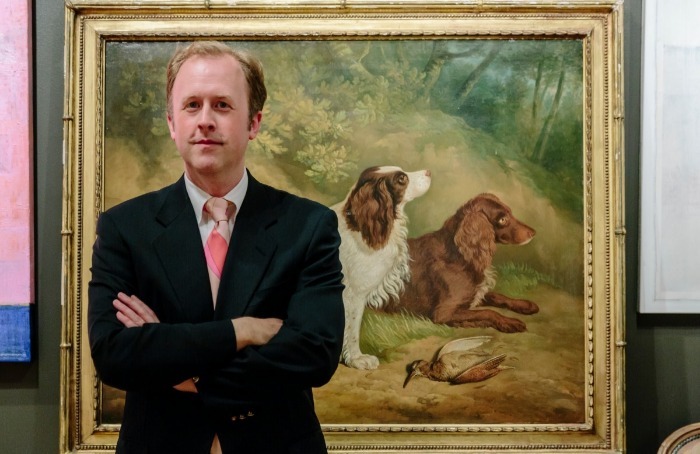 After working at Sotheby's in New York, Spalding saw an opportunity to purchase 18th and 19th century paintings at auction in Europe and offer them to the Southeastern market. Additionally, Spalding followed his love for contemporary art with regular "Boutique Shows" at his gallery with artists like the ceramicist Garth Johnson and the painter Comer Jennings while serving on the board of MOCA GA. Established in 2003, Spalding Nix Fine Art highlights the best of contemporary art from abstract artists like Katherine Sandoz and Spencer Sloan to more traditional realists like Richard Thomas Scott and Heather Lancaster. The gallery is unique, because it has moved beyond the white box of most contemporary galleries. It offers the work in a sumptuous setting with period antiques emphasizing the allure of the mix. "The Mix is IN," says Spalding. "Mixing the old with the new allows both pieces to sing and truly reflects the collector's taste." Spalding's gallery takes advantage of multiple platforms from 1stdibs to Artsy to promote his artists. In addition to dealing art, Spalding is an appraiser valuing personal property, art and antiques who recently rediscovered a long lost Norman Rockwell. As an Accredited Member of the American Society of Appraisers, Mr. Nix provides valuation services for donation, estate, insurance, and litigation-related purposes. As an art adviser, Spalding assists individual and corporate clients like the Fortune 500 company Printpack in navigating the art world by offering confidential and objective advice in the acquisition or sale of fine and decorative art.